I don't know why people are comparing Iphone with Nokia. Apple is jusy new in Mobile technology and also has performed good but Nokia gives quite a stiff competition. 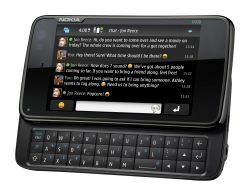 There are handsets like nokia 5310 which are just outstanding and gives a list of feature which an Iphone lacks. So just don't compete.